Preparing for review. The passcode. 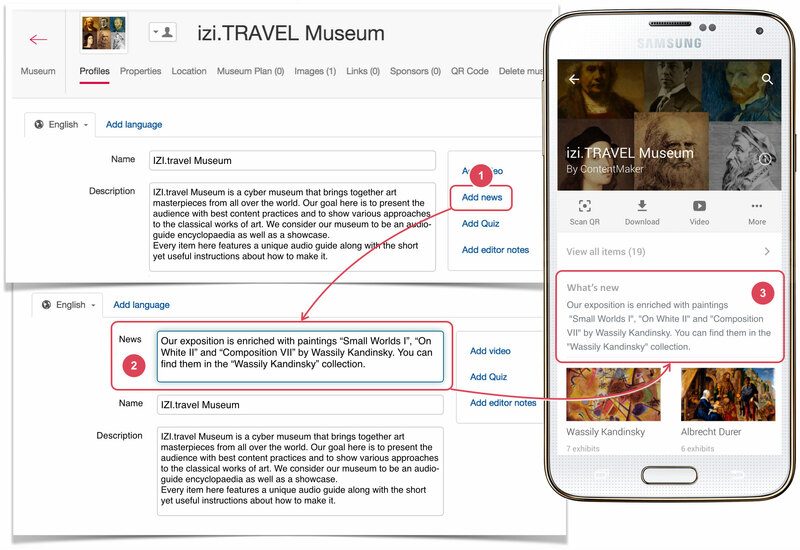 You can add news to the museum audio guides in izi.TRAVEL CMS. To do that use an “Add news” element (1). Click on it to open a news creation unit to enter news text (2). The news text will be shown on the main page of the museum audio guide in a mobile application (3).